Citrus is the world’s most important tree fruit crop and at Babylonstoren we take great pleasure in celebrating this versatile and much-loved fruit. During the 17th and 18th century, citrus fruit was an important source of vitamin C for scurvy-ridden sailors travelling to and from the Far East. 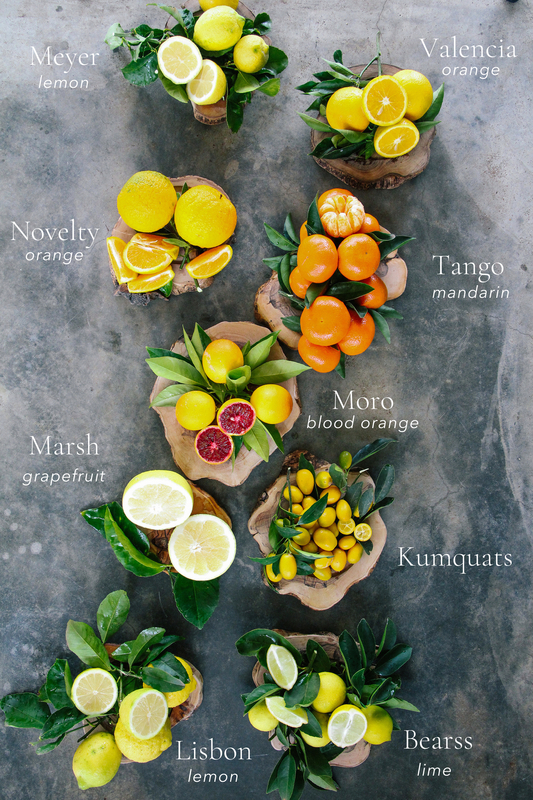 In the cooler months, citrus is the main crop on the farm. Our chefs squeeze out the juice, grate the rind or simply serve it fresh at breakfast in Babel. Satsumas and nules are the first to ripen in autumn. 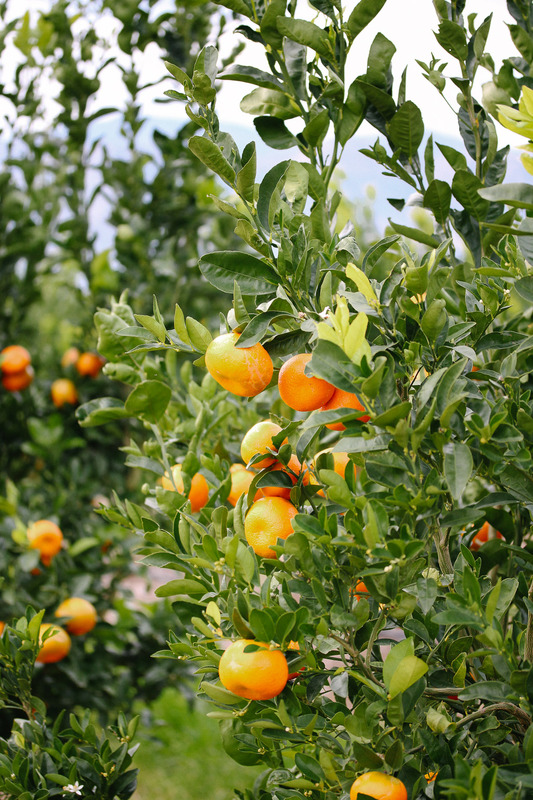 Eureka lemons, bright orange Tango mandarins and strikingly red blood oranges are harvested in winter, while the impressive Klein Drakenstein mountains along the edge of our valley are often topped white with snow. In the historical fruit and vegetable garden, our citrus avenues and hedges turn a stroll along the pathways into an even more special experience with their sweetly scented spring blossoms and colourful fruits – limes, lemons, oranges, satsumas, grapefruit, citron and kumquats. Find the shallow Delft pond in the middle of the garden – here one is surrounded by no fewer than 25 varieties, including some unusual citrus fruits such as the bitter Seville orange and Japanese yuzu. Just take a look at some of the varieties we have on the farm. It’s a true feast for the senses. Come and visit us to see all the wonderful varieties we have on the farm. We offer daily garden tours, starting at the Farm Shop at 10h00. What, no Naartjies?! Or are these now called mandarins even here behind the boerewors curtain? We have a single Naartjie tree at our smallholdin near Stilbay that produces over 300 fruit every season. This with absolutely no assistance or care. And it’s not a large tree, about 2,5m tall and about the same in width. It produces a very tight skinned, firm, but delicious fruit. It also bares for about 2months which is great as we are often there and away sporadically and can rely on its fruit for an extended period. Hi Steve! That’s great to hear. What! No Pamplemousse ( Shadock) ? Hi Fred, we look forward to your visit! Hi Anne! The rakes we use are actually used for picking olives but we roped them in for the hard to reach lemons. You can get these tiny yellow rakes at any hardware / agri store. I am keen to find a bio eco method of avoiding the Olive fruit fly this year. Does your trap system work for Olives and what about bees getting into the traps ? Would value some help here thanks. Hi Karen. One common method to use to monitor the olive fruit fly is a trap with an ammonium salt lure. (ammonium bicarbonate), which attract both sexes. The female pheromone is also available and often used as a male attractant which can be combined with a protein bait or ammonium bicarbonate. Other alternative management methods include SIT (Sterile Insect Technique), attract-and-kill bait stations (this is what we use in the garden), and particle film technology. Chemical controls are based on cover sprays and bait sprays which incorporates organophosphates, synthetic pyrethroids, and spinosad (microbial insecticide). The disadvantage of using full cover sprays is that they have a negative impact on natural enemies. It has been found that olive fruit flies develop resistance to chemical control. Therefore, the non-chemical control options should rather be used wherever possible. It is possible to find a couple of curious bees in the traps, but bees are not primarily attracted the traps. These traps pose no threats to the bees. Hi there, i want to bring my family to the garden next week Saturday (5 Jan 2019) and i was wondering what fruits are in season at them moment? The stone fruits are in season, plums and peaches!